ADHD is a prominent diagnosis these days. In fact, the newest statistics show that 1 in 7 children are diagnosed with ADHD, and these numbers are rising drastically with each year. Many teachers have told me me that 25% or more of their students are taking Ritalin on Adderall so that they can sit still and concentrate through the day. The truth is, ADHD is misunderstood. Many people think that ADHD is a problem, when in fact, it is a superhero power in and of itself. ADHD is a simple condition to understand. Once we understand what the CAUSE of ADHD is, we understand that the symptoms we see are simply the EFFECTS of that cause. Children and adults with ADHD have “Ferrari brains.” This means that their brains like to go fast; they are stuck on the gas pedal at all times! These Ferraris get places MUCH faster than other cars. This is the child’s superhero power and the reason why so many of our famous inventors, artists, and innovators have been described as having ADHD. However, If you are looking at a Ferrari, you will notice that they not only have a huge engine (fast brain), but that they also have very large brakes and a sophisticated suspension and handling system. Essentially, the Ferrari can go really fast because it can take corners fast and brakes quickly! Although a child with ADHD has the fast engine (fast moving brain), they have small brakes and poor handling. In today’s world, that means these kids have a hard time slowing down and sitting still, difficulty paying attention in slow moving environments (i.e. class), and a tough time moving from one activity to another. Are Drugs the Only Option? Most children with ADHD are given a class II controlled substance (the same class as cocaine) to control symptoms. However, many people don’t understand that these drugs can stunt and impair normal brain growth and development, and can have many unwanted side effects including sudden death. Although these drugs have been prescribed for 50 years, there has never been a study that compares the benefits and risks of taking these prescription drugs. So how can we help kids with ADHD “apply the brakes” and “navigate the corners?” How can we help them better copy with stress, school and the changing demands of life? Are addictive stimulant and psychoactive prescription drugs the only options? The answer is no! Drugs are not the only answer or option for these kids. 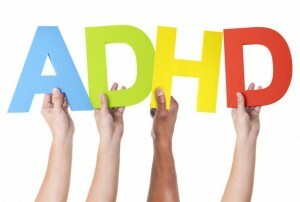 For parents searching for alternative ways to help your child with ADHD, chiropractic care can help! There is the “gas pedal” mode which is the fight or flight stress response, or sympathetic state. This stress response is responsible for survival. This kicks on when you are in danger or when you are scared. It should turn on (when needed) to keep you alive, and then turn back off again after danger is out of the way. There is also “brake pedal” mode, or the parasympathetic state, where growth and development happens. Many children with ADHD are stuck on “gas pedal” mode. They just can’t slow down and are missing out on these growth and developmental phases because the “brakes” won’t turn on. But why? The birth process can be very tough on the child especially if there is a c-section, or stressful birth or delivery. The pulling and twisting of the child’s head can easily misalign the top bone in the neck (the atlas) which sits right next to the Vagus nerve. The Vagus nerve is responsible for the entire braking system in the body. If this top bone is misaligned, it will shut down the brakes and keep the child in “gas pedal” mode. Gentle and specific pediatric chiropractic adjustments can help with ADHD by restoring proper structure to the spine and taking pressure off the nervous system (specifically the vagus nerve) so that the “brake pedal” can turn on and slow the child down. Although chiropractic doesn’t treat ADHD, it allows the body to function appropriately so that kids can live a normal and symptom free life. If you are wondering if chiropractic can help you or your child with ADHD, please give contact Blossom Family Chiropractic at 727-498-5643 or email blossomfamilychiro@gmail.com.